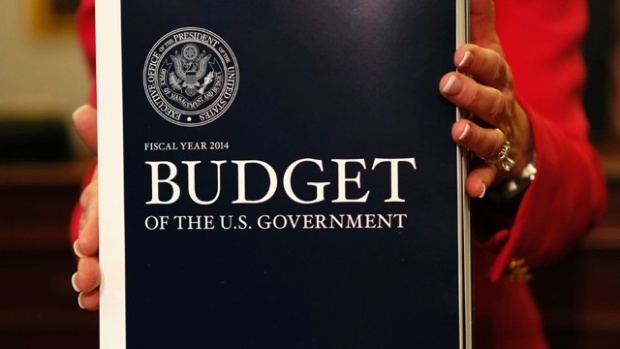 President Barack Obama’s fiscal year 2014 budget proposal made headlines this week mainly for its changes to Social Security, but the increases proposed in US government support for clean energy spending did not go unnoticed. Reuters News Service called the increases for electric cars, wind power and other green technology “dramatic,” particularly because they arrive in the face of Republican criticism. While many government agencies get slimmed down in the budget proposal, the Department of Energy would get an 8 percent increase to $28.4 billion next year, Reuters reported. Included are a 75 percent increase in spending on advanced vehicles to $575 million and a 29 percent increase in spending on the ongoing effort to integrate solar and wind power into the national electric grid, Reuters reported. Support for biofuels would increase by 24 percent. “These increases in funding are significant and a testament to the importance of clean energy and innovation to the country’s economic future,” the Obama administration wrote in the budget proposal, according to the Reuters report. While Republicans have criticized the US backing of companies like Solyndra, a solar panel maker that went bankrupt, and Fisker Automotive, a hybrid sports care maker which is struggling and laying off employees to hold off bankruptcy, President Obama has maintained that clean energy is a key to the country’s future. Government support for the clean energy industry “has nearly doubled (the US) energy generation from wind, solar, geothermal and other renewable energy sources” since Obama took office in 2008 and maintaining this level of support “could lead to breakthroughs in the years to come,” Reuters reported. Newbury Park, CA-based Sauer Energy (OTC: SENY, http://www.sauerenergy.com/) is a development stage company developing vertical axis wind turbines for commercial and residential uses. Formerly BCO Hydrocarbon Ltd., the company disposed of its oil and gas interests and in July 2010 purchased Sauer Energy and in May 2012 purchased Helix Wind Corp. Back on Dec. 24 it was trading for $0.24. It closed April 12 at $0.10, down 1 cent for the day. Its market cap is now $9 million and 52-week range is $0.08-$0.39. China-based China Ming Yang Wind Power Group (NYSE: MY, http://www.mywind.com.cn/) is a wind turbine manufacturer focused on designing, manufacturing, selling and servicing megawatt-class wind turbines. Last July, MY announced it was considering a joint venture with China-based Huaneng Renewables Corp. to develop wind power and solar power projects in China and overseas markets. MY stock closed Dec. 24 at $1.21. It closed April 12 at $1.35, up 1 cent for the day. Its market cap is now $169 million and 52-week trading range is $1.06-$2.47. 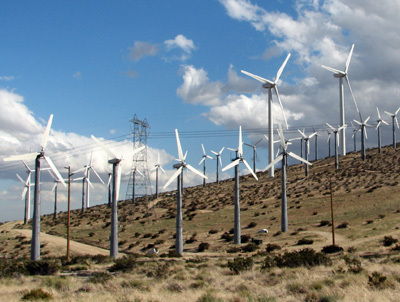 Chatsworth, CA-based Capstone Turbine Co. (Nasdaq: CPST, http://www.capstoneturbine.com/) develops and markets microturbine technologies, including technologies used to provide on-site power generation for wind power. It closed Dec. 24 at $0.91 with a market cap of $278 million.CPST closed April 12 at $0.93, down 4 cents for the day. Its market cap is now 282 million and 52-week trading range is $0.73-$1.20. San Mateo, CA-based SolarCity Corp. (Nasdaq: SCTY, http://www.solarcity.com) designs, installs and sells or leases solar energy systems to residential and commercial customers, as well as electric vehicle charging products. It closed March 15 at $16.74 with a market cap of $406.5 million. SCTY closed April 12 at $19.97, down 41 cents for the day. Its market cap is now $1.5 billion and 52-week trading range is $9.20-$21.40. Ontario, Canada-based Canadian Solar (Nasdaq: CSIQ, http://www.canadian-solar.com/ ), which sells a variety of solar products, closed back on March 15 at $3.50 with a market cap of $151 million. It closed April 12 at $4.07, down 3 cents with a market cap of $176 million. Its 52-week trading range is $1.95-$5.15. San Jose, CA-based SunPower Corp. (Nasdaq: SPWR, http://www.sunpowercorp.com/), which makes a wide variety of solar products and systems, closed back on March 15 at $11.80 with a market cap of $1.4 billion. SPWR closed April 12 at $11.06, up one cent for the day. Its market cap is now $1.8 billion and its 52-week trading range is $3.71-$13.88. China-based Trina Solar Ltd. (NYSE: TSL, http://www.trinasolar.com/) designs, manufactures and sells photovoltaic modules worldwide. Back on March 15, TSL closed at $4.11 with a market cap of $291 million. It closed April 12 at $4.19, up one cent, with a market cap of $335 million. Its 52-week trading range is now $2.04-$7.99. China-based Yingli Green Energy Holding Co. (NYSE: YGE, http://www.yinglisolar.com/) makes photovoltaic products including cells, modules and systems. YGE closed back on March 15 at $2.47 with a market cap of $387 million. It closed April 12 at $2.12, down 5 cents, with a market cap of $324 million. Its 52-week trading range is $1.25-$4.12. China-based Suntech Power Holdings (NYSE: STP, http://am.suntech-power.com), the world’s largest producer of solar panels, closed at $0.70 back on March 15 with a market cap of $127 million. It closed April 12 at $ 2012, and then rose to $1.87 in early January, but has been falling since. STP closed March 15 at $0.75, udown 12 cents for the day, with a market cap of $135 million. Its 52-week trading range is $0.30-$2.96. St. Peters, MO-based MEMC Electronic Materials (NYSE:WFR, http://www.memc.com) manufactures and sells silicon wafers and photovoltaic materials. Through SunEdison, it’s a developer of solar energy products. It closed March 15 at $4.53 with a market cap of $1 billion. WFR closed April 12 at $4.76, down 6 cents, with a market cap of $1 billion. Its 52-week trading range is $1.44-$5.70. Thanks to high-profile bankruptcies like Solyndra and Evergreen Solar, good news has been in short supply this year for companies in alternative energy. But the wind energy industry bucked that tide earlier this month. the New York Times (http://www.nytimes.com/2012/08/03/business/wind-industry-wins-senate-panels-support-for-a-tax-break.html). The provision to renew the tax break is part of a $200 billion package that still must be passed by Congress when it returns from summer break. Furthermore, the vote was bipartisan (19-5) with several Republicans from key wind power states joining the Democrats in favor. While still not a done deal, it is clear that “the wind industry convinced a key Senate committee that green can be good politics in red states as well as blue states,” the Times noted. A week after the vote, the American Wind Energy Association announced that the U.S. “hit 50 gigawatts of wind-powered electric capacity in the second quarter of this year.” Energy and Capital noted that so far in 2012, “the nation has had 2,800 megawatts and 1,400 wind turbines installed countrywide, chiefly across Nevada, Idaho, Iowa, Hawaii, Oklahoma and California.” A total of 39 states now have “utility-scale wind facilities” with most of the growth in the industry is coming from domestically manufactured turbines and materials, according to Energy and Capital. Let’s take a look at a few randomly chosen small cap companies that are involved in wind turbines and wind power. Newbury Park, CA-based Sauer Energy (OTC: SENY, http://www.sauerenergy.com/) is a development stage company developing vertical axis wind turbines for commercial and residential uses. Formerly BCO Hydrocarbon Ltd., the company disposed of its oil and gas interests and in July 2010 purchased Sauer Energy and in May 2012 purchased Helix Wind Corp. SENY currently has a market cap of $20.6 million and a 52-week trading range o $0.10-$0.95. It closed trading Aug. 27 at $0.26, up 2 cents on the day. China-based China Ming Yang Wind Power Group (NYSE: MY, http://www.mywind.com.cn/) is a wind turbine manufacturer focused on designing, manufacturing, selling and servicing megawatt-class wind turbines. In July, MY announced it was considering a joint venture with China-based Huaneng Renewables Corp. to develop wind power and solar power projects in China and overseas markets. MY’s market cap is $147.5 million and 52-week trading range is $1.10-$3.73. It closed Aug. 27 at $1.21, down 4 cents for the day. Chatsworth, CA-based Capstone Turbine Co. (Nasdaq: CPST, http://www.capstoneturbine.com/) develops and markets microturbine technologies, including technologies used to provide on-site power generation for wind power. On Aug. 23, CPST shares crossed their 50-day moving average and closed the day at $1.05 with 2.8 million shares sold. Its market cap is $302.6 million and 52-week trading range is $0.85-$1.53. It closed Aug. 27 at $1.01, down 1 cent for the day. One company in the news lately is Italy-based Enel Green Power, which trades on the Milan Exchange (EGPW.MI) and is Italy’s biggest renewable energy company (http://www.enelgreenpower.com/) . EGPW announced in early August that it will partner with GE Capital to build the Prairie Rose wind farm in Minnesota, expected to have a total installed capacity of 200 megawatts. The farm is scheduled to commercially operational in this year’s fourth quarter. This follows earlier announcements of other investments in wind farms in Oklahoma, Mexico, Denmark and Croatia. Finally, Naperville, IL-based Broadwind Energy (Nasdaq: BWEN, http://www.bwen.com/) announced Aug. 23 that it was reducing its manufacturing footprint and shifting its “capacity and marketing focus to non-wind sectors.” In early August the company reported a $4.2 million loss for the fourth quarter. It also made a 1-10 reverse split of its common stock. BWEN closed Aug. 27 at $2, down 26 cents for the day. The came the report in the Los Angeles Times that “Kansas is to wind as Saudi Arabia is to oil,’ noted in a story focused on British Petroleum’s plans to build an $800 million, 252-turbine wind farm in the state (http://latimesblogs.latimes.com/nationnow/). The farm is called Flat Ridge 2 and will sprawl out on 66,000 acres. BP Wind Energy is expected to start constrution this year and complete the project by 2013. An estimated 500 construction jobs will be generated. The 200 landowners whose property will be part of the farm will get $1 million a year for 20 years. Local governments will also get funded. More wind news came last Sept. 20 in the Wall Street Journal where it was reported that a Chinese wind turbine maker, Xinjian Goldwind Science and Technology Co. (China’s second largest wind turbine producer judging by new capacity sold, according to the WSJ), has plans to build a $200 million wind farm in Illinois. Gov. Pat Quinn’s office suggests that the project will generate more than 100 construction jobs and about 12 permanent ones (http://online.wsj.com/article/SB10001424053111904106704576579741179230646.html?KEYWORDS=brian+spegele+xinjiang). 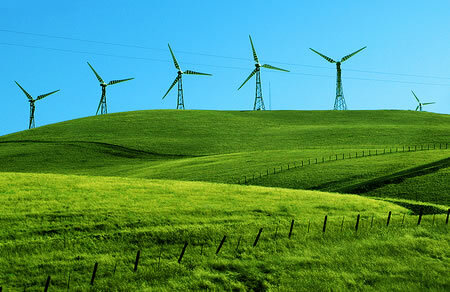 China-based China Ming Yang Wind Power Group Ltd. (NYSE: MY, http://www.mywind.com.cn/) makes, services and sells wind power turbines in China. Formerly China Wind Power Equipment Group Ltd., the company has a market cap of $334 million and trades about 170,000 shares a day. Investopedia recently named it one of five wind energy stocks to watch. Its stock was more than $14 about a year ago but has dropped considerably, closing Oct. 7 at $2.45, down 21 cents on the day. Ann Arbor, MI-based Kaydon (NYSE:KDN, http://www.kaydon.com/) makes parts such as custom bearings for windmills. In 2008 they built a manufacturing facility in Monterrey, Mexico devoted to servicing the wind energy industry. On Aug. 9 KDN was trading for $32.48. It closed Oct. 7 at $28.81, down 92 cents on the day. Its 52-week range is $26.45-$41.71. St. Louis-based Zoltec Companies (Nasdaq :ZOLT, http://www.zoltec.com/) was also mentioned in the Investopedia article as another way to play the wind energy market. ZOLT makes carbon fibers used to reduce weight in turbine blades so they spin faster and recently won a $3.7 million grant from the US Department of Energy for carbine fiber research. Its stock closed at $5.93, down 28 cents on Oct. 7 but was a high as $16 in February. 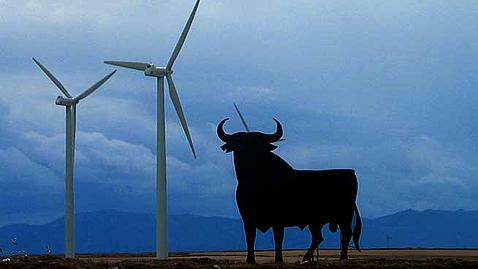 Another way to play might be two ETFs that offer a group of wind energy companies to invest in. They include PowerShares Global Wind Energy (Nasdaq:PWND), which closed Oct. 7 at $7.09, down 15 cents (52-week range is $6.63-$11.76) and First Trust Global Wind Energy (NYSE: FAN) which closed Oct. 7 at $8.31, up 1 cent (52-week range is $7.59-$12.28).